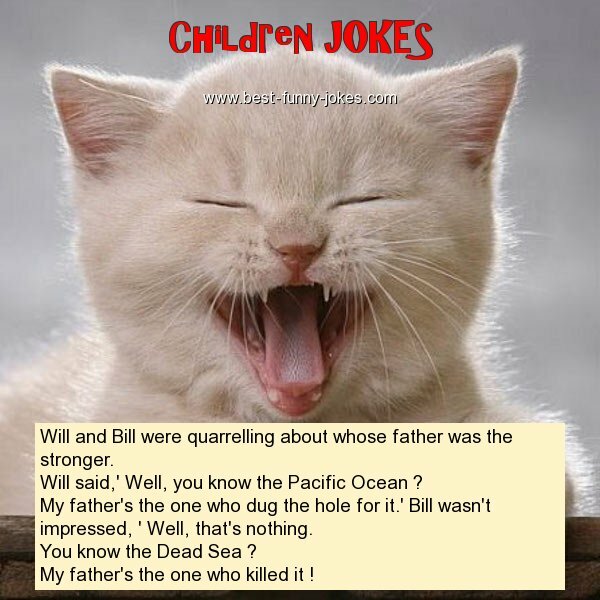 Will and Bill were quarrelling about whose father was the stronger. Will said,' Well, you know the Pacific Ocean ? My father's the one who dug the hole for it.' Bill wasn't impressed, ' Well, that's nothing. You know the Dead Sea ? My father's the one who killed it !